The grand opening was on May 12th, 2016. 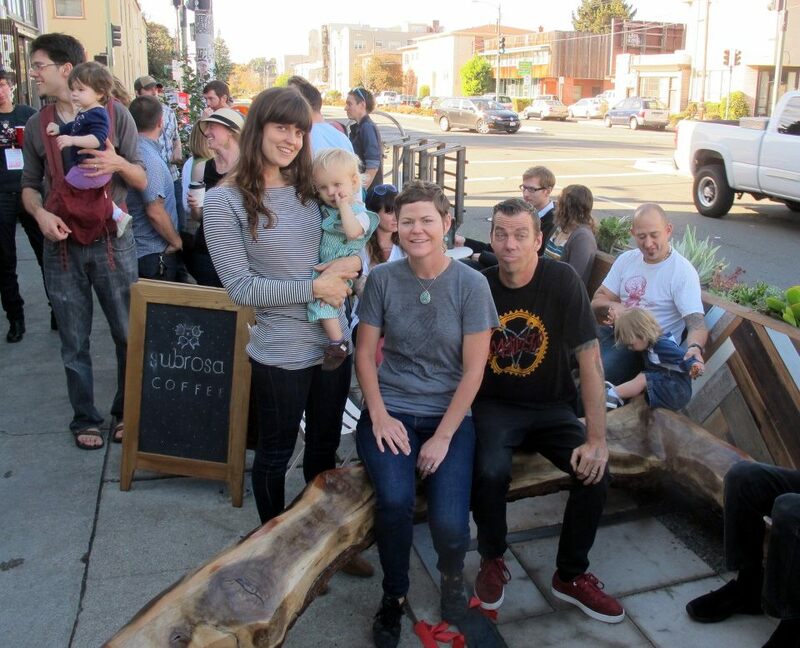 On July 1, 2014, the 25th Street Parklet opened in front of Manna Gallery, PHOTO, Mercury 20 Gallery, Roscoe Ceramic Gallery, Slate Contemporary, The Wall Gallery, and 25th Street Collective. On November 3, 2012, the 40th Street Parklet was opened at 421 40th Street (near Webster Street). 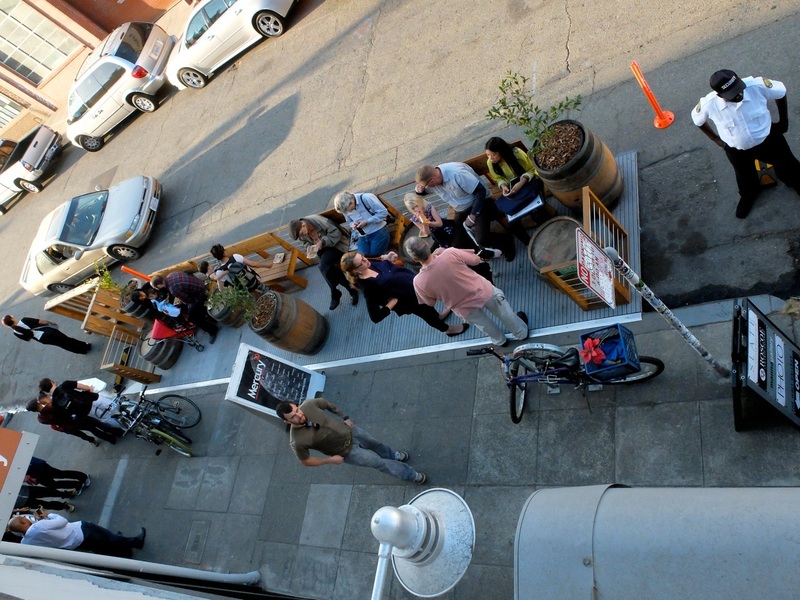 On September 21, 2012, Oakland's first Parklet was inaugurated at 33 Grand Avenue. Currently, seven Parklets have been constructed with eleven Parklet permits still pending. Parklets are now being installed throughout the City of Oakland! To see a Google Map of the locations for current and upcoming Parklets, please click here or click the map below. For more information about the plaza visit Latham Square Plaza pilot program page. 420 40th Street, sponsored by Antidote Juicery and Mark Becker Inc. Note: No applications were submitted for Council Districts 5, 6, and 7. Parklet Application Period is Now Closed. Please download the application and view the flyer for more information. Please see below the Frequently Asked Questions for updated information about the Application and Selection Process. A Parklet is the temporary use of space in the dedicated public right-of-way (parking spaces, unused bus stops, and other types of vehicular and non-vehicular zones) for public uses such as seating or bicycle racks. Parklets will be publicly accessible space for the enjoyment and use of all Oakland citizens, and are privately constructed and maintained. 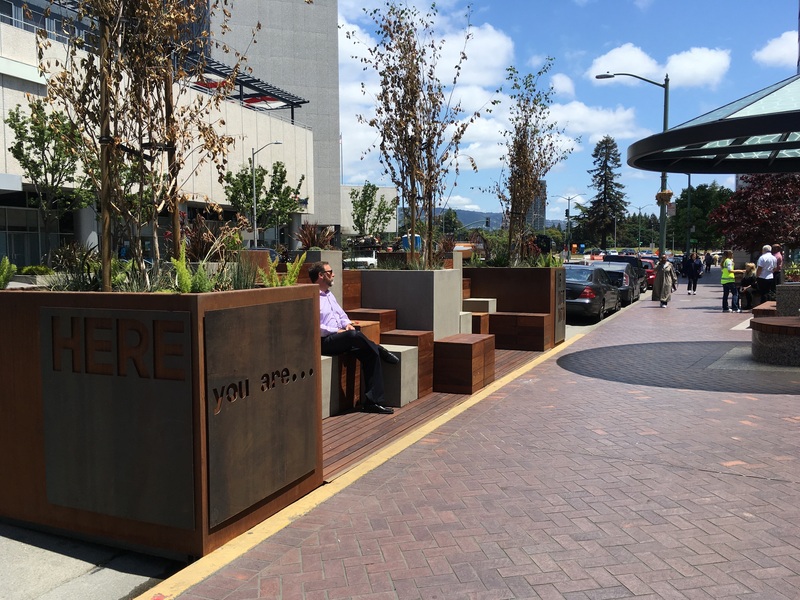 It is envisioned that the Parklets will be located in areas with pedestrian activity, as additional seating areas for retail patrons, and in areas where there is a desire to create a more pedestrian-friendly environment. Parklets are intended to be seen as pieces of street furniture, providing aesthetic enhancements to the overall streetscape. In place of car parking, a platform is built to extend the grade of the sidewalk into the street. Once the platform is installed, benches, tables, chairs, landscaping, and bike parking can all be placed on top in order to create a Parklet. Parklets must remain publicly accessible and will require signage to this effect. Table service is not permitted, nor is commercial signage or advertising. You do not need to be a customer to use a parklet - they are for everyone! The Parklet Program is partly an outgrowth of the Park(ing) Day movement, an annual worldwide event where artists, designers and citizens transform metered parking spots into temporary public parks on the third Friday in September. To learn more about Park(ing) Day, visit their website at http://parkingday.org/ or the Oakland chapter at http://my.parkingday.org/group/oakland?. 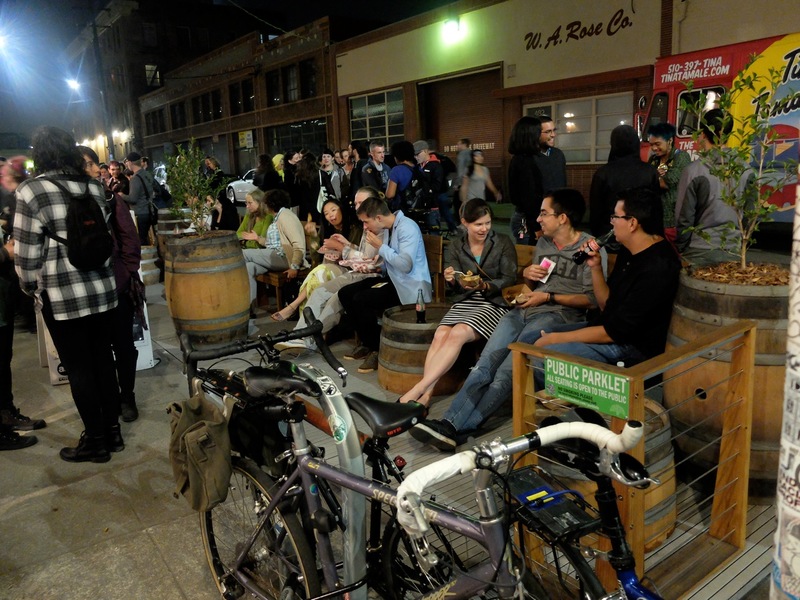 Park(ing) Day this year is Friday, September 15th, 2017 to find out where to locate pop-up Parklets in Oakland visit Walk Oakland Bike Oakland's (WOBO) website. 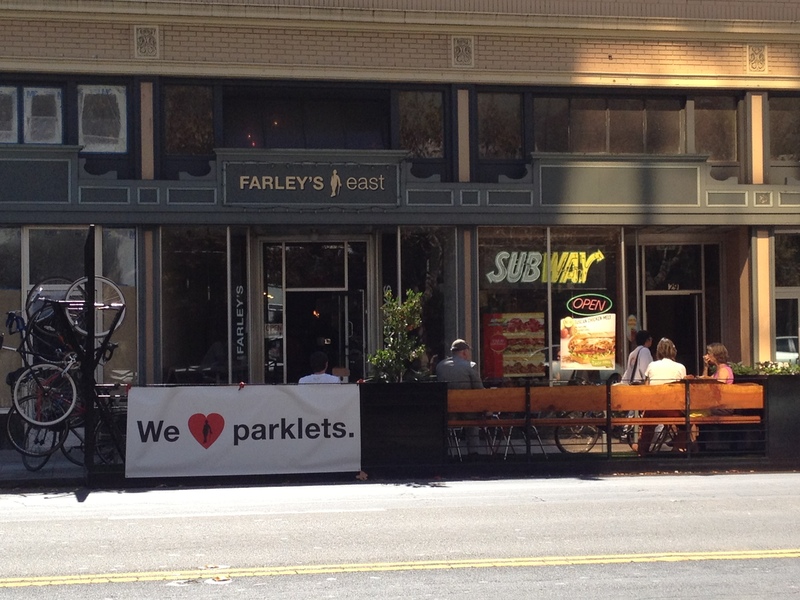 The Actual Cafe Parklet has received their final permit approval and is now awaiting construction. Stay tuned for announcements when it is built and ready for use by the public. 1. How can I get a Parklet in front of my business? 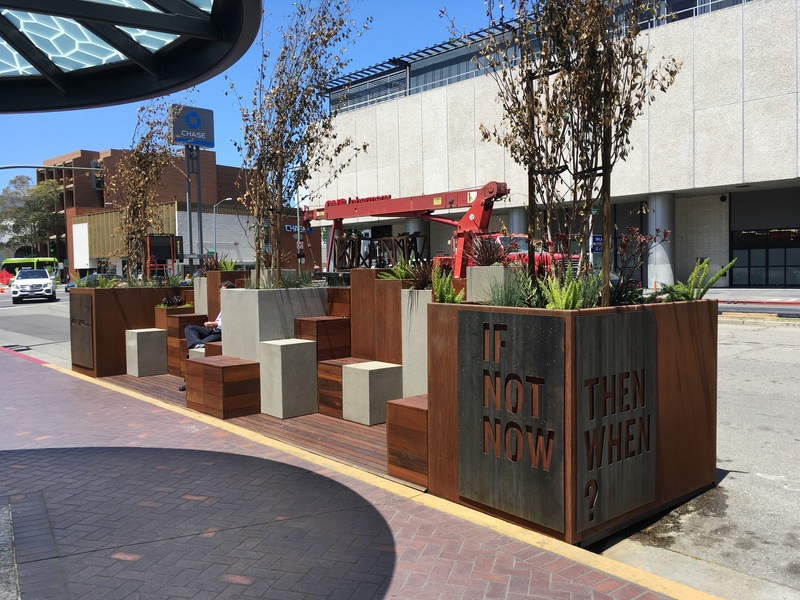 The City of Oakland is no longer accepting applications for the Parklet Pilot Program Extension. Applications were due Monday, November 17, 2014. 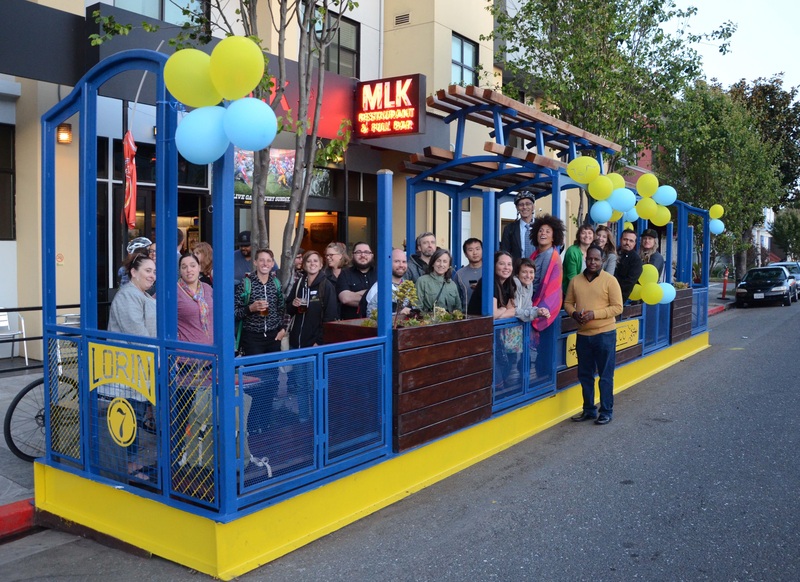 After this round of Parklets are approved, the City plans to create a permit program where additional applications will be allowed in the future. Please sign up to the "subscribe for updates" at the top right corner of this webpage to receive updates on when the next round of applications will be announced. Please download the application and view the flyer for more information and submittal requirements. 2. 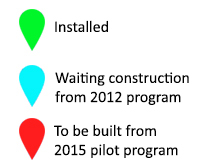 Why an Extension of the Pilot Program? During the initial 2012 Pilot Program, some of the Parklets approved were not built for various reasons, so the City is proposing to extend the pilot program to allow the review of additional Parklet applications while the City works out the details on a future permanent program. 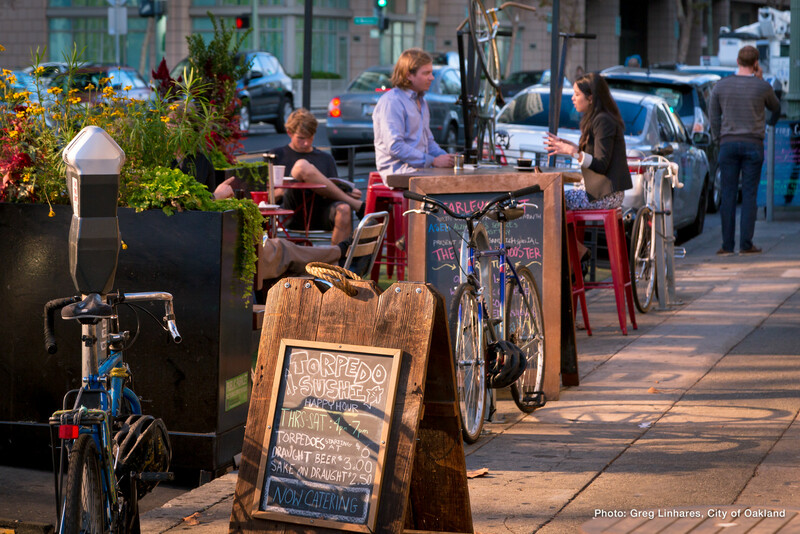 Parklets can be an innovative way to improve the pedestrian experience of the City. We hope all residents will benefit from the creativity and initiative of private businesses and community groups in the creation of unique, attractive urban spaces. Parklets have been very successful in Oakland and San Francisco. 3. Why a Temporary Program? A Parklet is a temporary structure and is not meant to be permanent. It needs to be movable, have access beneath for cleaning and for drainage and also to be re-movable. The initial permit will be for one year, with up to two annual renewals contingent upon the Permit Holder meeting its Maintenance Agreement. Parklet renewals will be charged an annual Renewal Fee. After three years, the Parklet permit may be extended as part of the more permanent program. 4. How were the current Parklets chosen? 5. Are there problems with building a Parklet on International Boulevard because of the planned Bus Rapid Transit (BRT)? Because BRT advanced utility relocations are scheduled to start in Fall 2014 and major roadway construction will commence in Fall 2016, building a Parklet at this time appears not to be possible. There will be opportunities for Parklets along International Boulevard in the future, after construction of the BRT is complete. Also, International Blvd. is a Caltrans highway starting at 42nd Avenue to the City of San Leandro, so that would require an encroachment permit form Caltrans as well, which may be difficult. 6. Are Parklets allowed on a road that is also a Caltrans highway? Parklets that are on a Caltrans highway will need an additional encroachment permit from Caltrans. 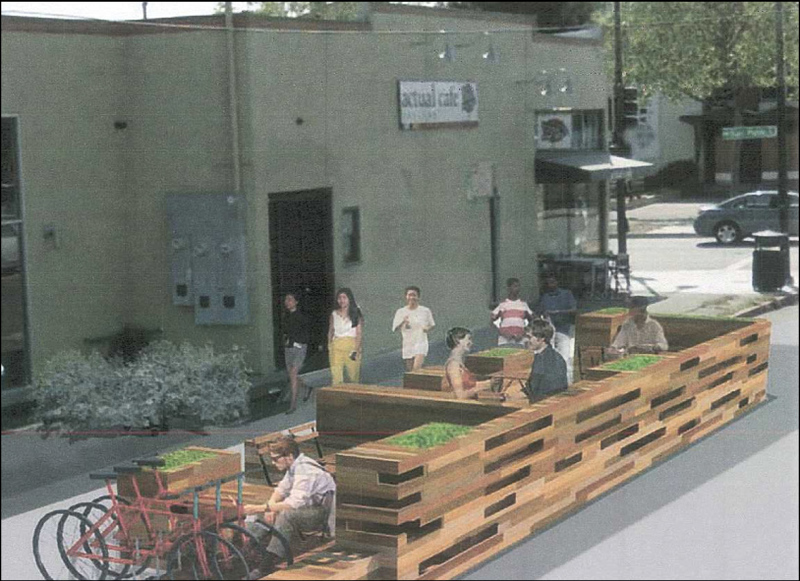 It is unkown at this time whether Caltrans will approve an encroachment permit for a Parklet. - 42nd Avenue (Hwy. 77), from I-880 to International Blvd.